Thailand Vacations are adventurous, intriguing and so much fun! Thailand is loaded with oodles of fascinating history a unique culture, historical sites and striking temples as well as beautiful National Parks, spectacular tropical islands and gorgeous beaches. There is a diverse range of exotic vacation spots that are worth visiting throughout Thailand as well as a wealth of fascinating sights that are just waiting to be explored. Thailand provides the ultimate destination for romantic vacations, relaxing beach vacations, eco tours or fun filled family vacations, as well as being a top spot for adventure travellers’. 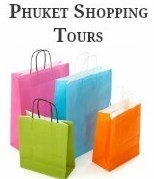 Our main focus has been providing travel tips and vacation ideas about Thailand’s largest and most popular tourist destination, the island of Phuket. Over the past 26 years of travelling to Phuket for holidays we have been lucky enough to explore many other beautiful areas of Thailand, together with other interesting destinations throughout South East Asia. We would love to give you an insight into some of the other top destinations and the amazing sights that we have seen and explored over that time, some of which you may like to include in your own travel itinerary for any future Thailand vacations. Bangkok is a city buzzing with activities and interesting sights, from magnificent palaces and temples to the floating markets and colourful nightlife. Many visitors begin their Thailand vacations in Bangkok, either on a short stopover before heading to other destinations in Thailand. With many visitors choosing to stay longer to explore the amazing sights and treat themselves to a shopping bonanza in Bangkok. Kanchanaburi is an excellent spot for nature lovers. A place were you can explore the beautiful scenery and historical sites. 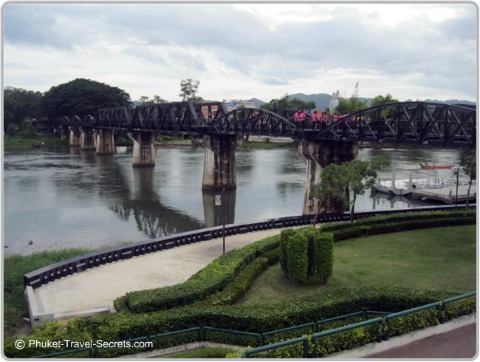 These sites include HellFire Pass and the memorial museum, the Bridge on the River Kwai and the Death Railway. Other activities and attractions located around Kanchanaburi include elephant trekking and bamboo rafting or get up close and personal with the tigers at the Tiger Temple and explore the spectacular Erawan Falls National Park with its picturesque waterfalls and playful monkey’s. The easiest way of getting to Kanchanaburi from Bangkok is by bus, travel time by bus is around 2 hours, give or take depending on traffic. Many visitors see the sights of Kanchanaburi on a day trip from Bangkok, however to fully appreciate the natural beauty and see the many wonderful attractions it’s best to stay a couple of nights in one of the many affordable resorts or hotels in Kanchanaburi or treat yourself to a couple of nights on the river Kwai in a floating hotel. Chiang Mai is loaded with interesting places, breathtaking scenery and literally hundreds of Buddhist Temples. There is a range of interesting sights and things to do in and around Chiang Mai that are suitable for both family vacations or adventure travellers. 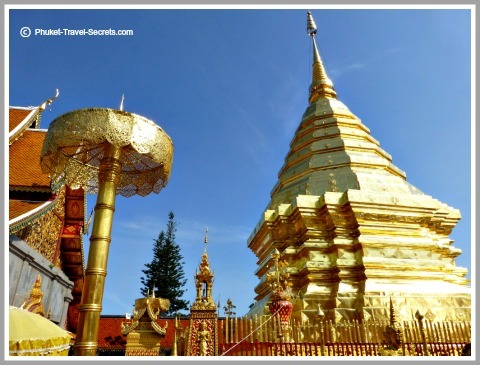 No vacation in Chiang Mai is complete without visiting some of the temples, as there are so many temples in Chiang Mai we decided to add some of our favorites that we found interesting. Wat Phra That is one of the most sacred temples in Northern Thailand. Within the Old City Walls of Chiang Mai you will find Wat Chedi Luang, this temple complex dates back over 600 years and is well worth a visit. Located next to Wat Chedi Luang is another interesting temple called Wat Phan Tao, this temple is one of the few remaining wooden temples that you will find in Chiang Mai. Some of the best activities you could include on a vacation in Chiang Mai are Zip Lining, trekking, mountain bike riding, white water rafting, river rafting and elephant trekking just to name a few. There are many hotels in Chiang Mai, we enjoyed a five night stay at the Ramling Lodge Hotel, a wonderful hotel in a central location. Chiang Rai is located around 2 1/2 hours drive north of Chiang Mai. 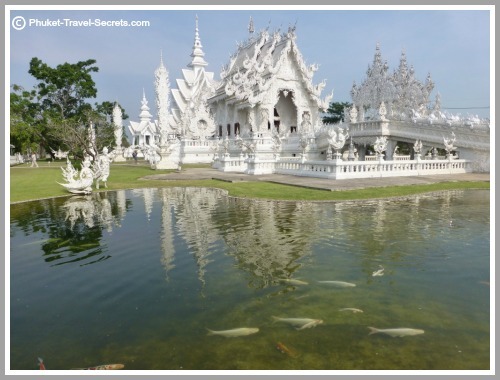 The main reason we went to Chiang Rai was to explore the Golden Triangle, combined with a visit the impressive "White Temple" that can be found on the outskirts of town, the temple is also known as Wat Rong Khun. Accommodation in Chiang Rai compared to other places in Thailand is very affordable, we had a two night stay at the Baan Malai Guesthouse which is located in the centre of Town. See here for a full list of hotels and guesthouses in Chiang Rai. Pattaya has long been known for its very colourful nightlife. However there is much more to Pattaya then just the nightlife and it’s definitely worthy of a visit. I must admit the beaches are not what we would call white sandy beaches. Nevertheless there is an abundance of other activities, attractions and things to do on your Thailand vacations in Pattaya. 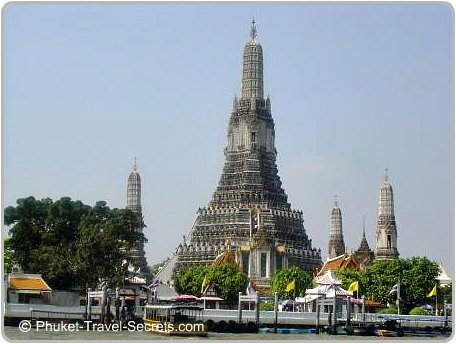 Below is just some of the attractions and things you can do when in Pattaya. The Pattaya Floating Markets, Noong Nooch Tropical Garden as well the kids favorite the Million Years Stone Park and Pattaya Crocodile Farm. Naturally there is loads of water sport as well as a variety of adventure activities, golf courses and the shopping is great. We enjoyed our stay at the Siam Bayshore Resort located close to Walking Street, but if you’re looking for a quieter area in Pattaya for a family beach vacation or a romantic getaway the best spots are Jomiten Beach and Na Jomiten Beach. 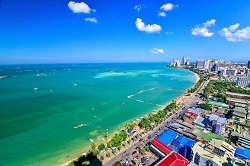 See here for a full list of resorts in Pattaya. Krabi is another top destination to keep in mind for your Thailand vacations. It’s an ideal spot for adventure travellers, boasting some of the best areas for rock climbing in Thailand. Thailand vacations are incomplete without a visit to the spectacular islands of Ko Phi Phi which are easily accessible from both Krabi and Phuket. 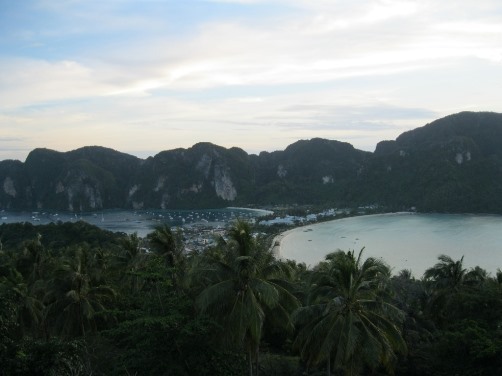 Ko Phi Phi is where you can do as much or as little as you desire, chill out on the beach or get active and enjoy the many outdoor adventure activities and attractions or spend a few hours at Phi Phi Ley and take in the stunning sights of Maya Bay. Khao Lak is another fantastic destination nearby Phuket where you can enjoy a relaxing beach-side vacation in Thailand. 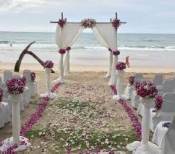 Khao Lak is located in Phang Nga Province and is just over an hour’s drive north from Phuket International Airport. Whilst most people go to Khao Lak to relax and enjoy the unspoilt beaches and live it up at the ever growing list of boutique hotels and spa resorts, we found that we barely had enough time to scratch ourselves. I must admit that Khao Lak is much quieter than its Island neighbour of Phuket; however there are loads of things to see and do around the area. One of the best things we found to do while in Khao Lak was our day trip by speedboat with Fantastic Similan Travel to the beautiful Similan Islands. We loved every moment of the tour and can’t wait to go again, next time we plan to take a live-aboard so we can spend more time exploring the beautiful clear blue waters around the Similans. As we had hired a car, getting around was relatively easy and gave us the freedom to be able to visit other interesting attractions within Phang Nga Province as well as the local attractions in Khao Lak. During our travels throughout Phang Nga Province we saw lots of interesting sights, beautiful scenery and impressive temples; one temple that really stood out is Wat Bang Riang. We also went to visit a couple of the Tsunami Memorial Sites in Khao Lak, as well as the Tsunami Museum, where we were able to watch videos of the tsunami impacting the coast and the destruction that was left in its wake. Nightlife in Khao Lak is limited however we did discover Khao Lak’s version of Phuket’s Simon Cabaret Show at Mr Moo Moo Cabaret Show and Bar. Our main aim of going to Khao Lak was to do some eco tours around Phang Nga Province taking in places like Koh Sok National Park, but as we decided to spend more time seeing the local sights in Khao Lak we decided to leave Khao Sok for our next Thailand vacation. We stayed beachfront at Khao Lak Diamond Beach Resort, which we found comfortable and had everything we needed, however there are many beautiful resorts in Khao Lak to choose from. 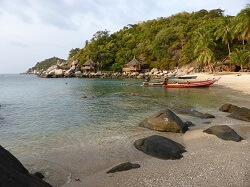 The Island of Koh Tao is another great destination we have explored on our Thailand vacations. This small picturesque Island is located close to Koh Samui and Koh Phangan in the Gulf of Thailand. 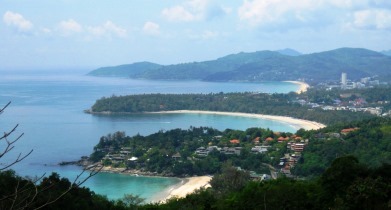 One of the highlights to see while in Koh Tao is a daytrip to the island of Koh Nang Yuan. Phuket is Thailand's largest Island, most visitors to Phuket stay in the main tourist area of Patong, however there are many beautiful areas around the Island which for many are never seen. When travelling with kids, our favorite destination for our own Thailand vacations is Phuket. Aranyaprathet is situated on the eastern border of Thailand; it is one of the most used overland border crossings into Cambodia, especially for travellers who are looking to travel overland from Bangkok or for travellers entering into Thailand from Cambodia on route to Bangkok. Many people use this border crossing to see the sights of Siem Reap and the Angkor Archaeological Park. We will also include some travel tips for travellers who are looking to combine their Thailand vacations with a stopover in Cambodia. One of our best tips is contact information for one of the best tuk tuk drivers in Siem Reap for all your transport around Siem Reap and the Angkor Archaeological Park. When planning to travel to Thailand, we try to combine our Thailand vacations to Phuket along with other top destinations throughout the Kingdom and South East Asia, as travel in Thailand and neighboring Asian countries is relatively cheap and easy once your there. As you can see not all our Thailand vacations are based around spending day upon day relaxing on the beautiful Thailand beaches. As an avid beach lover, I agree that lying on the beach for weeks on end would be nice. However if we did, we would have never been able to explore the beautiful sights and different areas throughout Thailand. We will be continually updating our Thailand vacations page as our travels take us to other top destinations throughout Thailand and beyond. We hope that the destinations we have listed above give you an insight into the amazing places and things you can see and do on your own Thailand vacations. When planning your Thailand holidays, visit the official Tourism Authority of Thailand website for up to date news on festivals, events and promotions.